Yemi Alade looks stunning in Iconic vanity outfit. Big congrats to her. Cute:Kelly Rowland and Son with Tina Knowles-Lawson ! 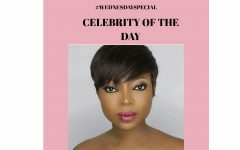 #WEDNESDAYSPECIAL with Layole Oyatogun La Mode Celebrity of the day.